Has established himself as an entrepreneur, author and community servant. 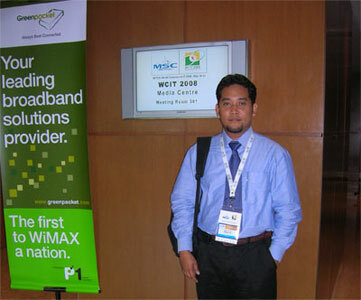 He is the Co-Founder and COO of Kesuma Group, a management, technology and consulting firm based in Selangor, MY. Kesuma Group works with corporations, government agencies and nonprofit organizations in the areas of community development, economic development, human services, community technology and education. Prior to founding Kesuma Group, Azman gained corporate experience as a founder of Dagangtime Group of Companies and also as a Board of Director at Era Uni-Synergy Sdn. Bhd. A Technical Writer who do some freelance writing for magazine such as Control Engineering Asia, Science Today, PC.Com, HWMag and Microsoft Publication. Board of Advisors, Cyber Troopers Malaysia. Born in Kuala Nerang, Kedah, MY, as the son of the Hj. Ani Saad and Hjh. Fatimah Rashid. He is happily married to his wife, Wan Normadzilla Hj. Wan Bakar, and resides in Shah Alam, Selangor, MY, with their daughter and son, Nur Najla, Adib, Afif and Ariq.